BEYOND the large gates on Powderworks Road, in the shadows of the famous Baha’i Temple at Ingleside on Sydney’s famous Northern Beaches, lies a ‘cathedral’ of a different kind. It’s one that golfers ‘worship’ as one of Sydney’s private Group One courses, sitting firmly in many golfers’ “must play” lists. It’s just part of the aura that is Monash Country Club; and with recent course developments taking place there, members and their guests are excited about the future direction of this popular club. General Manager John Harrison, who is also a PGA member, explained that the club was right in the middle of one of its busiest years, with a stunning redesign of the 18th hole facilitating a redevelopment of the driving range, along with an ongoing bunker renovation program. For those who have not been lucky enough to see it, Monash is set among stunning natural bushland and boasting views of the Pacific Ocean. With large amounts of natural sandstone and granite, Superintendent Rob Sain and his team have been working hard to expose this natural rock around the course itself with stunning effect . . . all of which has been positively received by Monash members. 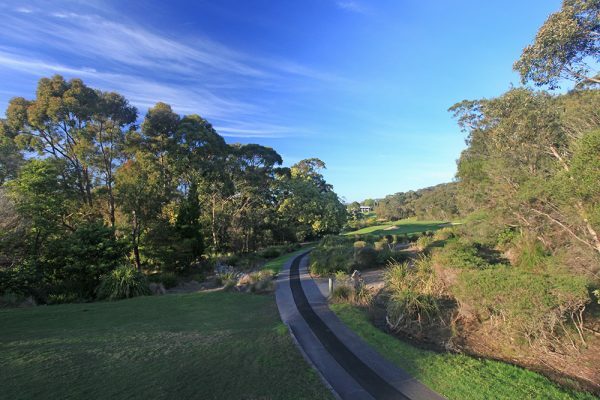 Harrison has been working with a Board who are focused on delivering the vision of the ‘best golf club experience in Sydney’s north’ and that has allowed Harrison and his team to focus on providing greater communication and service whilst putting resources into making the course more playable for everybody. Having the team buy into this vision is vitally important as it is more than just the golf at Monash, says Harrison. “We have received fantastic feedback recently in corporate events and club functions,” he said. “With all these exciting developments, there is a wonderful buzz around the club. Membership to Monash continues to grow and numbers are strong. “It is a tough time for many golf clubs, however we are fortunate to have a very solid membership base and in recent times have shown excellent growth with a low attrition rate,” he said. “We also boast a very attractive corporate membership package which offers flexibility for our corporate members including function rooms for off-site meetings with wonderful views of the ocean and the course. Monash also has an impressive list of reciprocal clubs worldwide which the members enjoy. Monash’s signature hole is probably the 13th hole with a dramatic drop-off from the top of the rock shelf down to the green. It is a unique hole, and a favourite of one of the club’s resident professionals Adam Groom, who rates it as the perfect risk-and-reward hole. Monash boasts a strong heritage of success in producing some fine amateur players, some of whom have performed well in the individual arena. They also continue to achieve consistent success in both men’s and women’s pennant golf. Members include the likes of Cameron Davis, who this year began to make his mark as a rookie on the Canadian Tour and Jacqui Morgan, who continues to dominate women’s senior amateur events. Additionally, Tim Stewart and Adam Groom have both played on PGA Tours all over the world. “We are heavily represented in junior golf teams as well as ladies and men’s pennant teams and our success is due in no small part to the coaching role of Head Professional Glenn Phillips,” said Harrison. WITH such a fabulous asset on hand for a private Sydney club, Monash Country Club’s driving range has been renovated to improve the drainage, irrigation, turf quality and hitting bays. 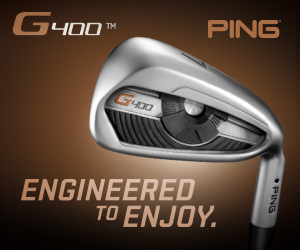 At 250m, the ability to hit driver is a bonus not available on many ranges these days. Monash’s range has a couch grass practice area, 25 mats plus a covered teaching facility for all-weather lessons and club fittings. In coming months, the club will also be adding three artificial target greens situated at about 80m, 130m and 170m. Add to this a huge practice chipping green, putting green and practice bunkers it is no wonder Monash continues to attract members of all ages. RENOVATIONS to the 18th hole, following plans from course architect Jim Wilcher, have transformed the hole into what will be one of the best signature finishing holes in the country. At just 320 metres, demands are placed on the tee shot, with the perfect approach being from the left-hand side to avoid being blocked out on your approach. Clearing has taken place on the left-hand side of the fairway, exposing the water, making it visually much more intimidating when you stand on the tee. And up on the green and continuing the theme of exposing the bush-rock on the course, the front left bunker is gone and two new bunkers are seemingly built into the exposed rock shelf on the right-hand side. The huge right-to-left slope of the old green has been replaced by a new green which sits lower and now provides many more pin positions and a 30m variance from front to back. The strategic planting of natives on the high side of the hole and the wall-to-wall turf at the rear of the green creates an amazing amphitheatre to conclude your round. 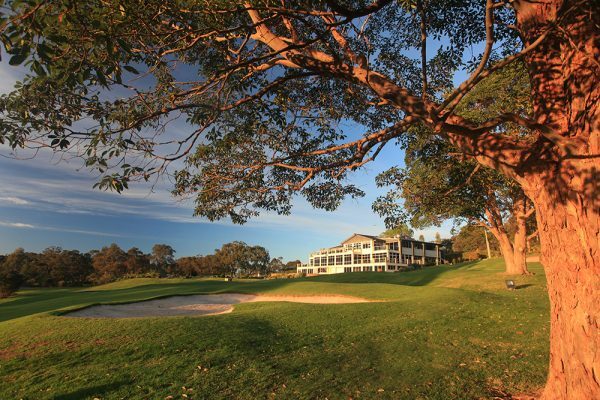 The 18th hole is on track to open in October – and with a new course record in the offing, it may also force many members to re-think not only their strategy for playing Monash but which hole is both the club’s signature – and their favourite. After 22 years as a loyal servant to one leading golf club, the chance for a PGA member to become General Manager of a Group One golf course was too good an opportunity for John Harrison to refuse. “Monash Country Club has always been a magnificent golf course and I’d always enjoyed the challenge of playing here,” says Harrison. Harrison explained that he was never going to make his fortune as a professional golfer, making a move into club management the right direction for him to take. “Although it’s a challenge I’m so glad I made the change,” he said. “We need passionate golfers in management or operational roles and it is definitely an avenue for other PGA members to explore outside of the Pro Shop. “We should know better than anyone what golfers want from their club membership. “Time spent running the multi-faceted role of the golf operations and the service standards required was great grounding,” he said. What has impressed Harrison most since he joined Monash is their passion for the game. “The members have been terrific, and along with the Board, very supportive,” he said. “They are passionate about their club, they absolutely love their competition golf and the challenge which Monash presents. Harrison is very much a hands-on GM as well and makes sure he doesn’t spend his days desk-bound. “Our course superintendent Rob Sain has been excellent to work with,” he says. “He has great energy, passion and a perfect eye for enhancing the natural beauty of the property.